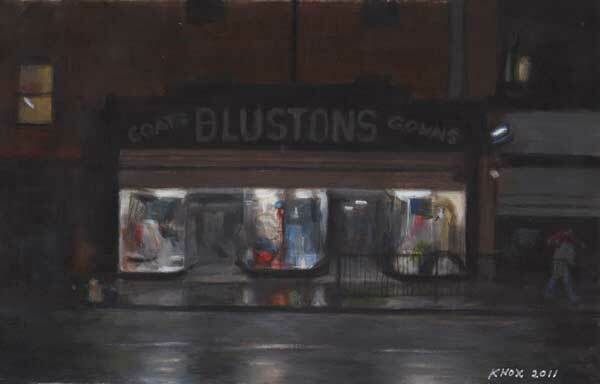 Knox's painting of Bluston's, Kentish Town, 2011. Hopefully find time to update this! Knox's solo album "Plutonium Express" (1983) has been released on CD on Cleapatra Records (USA) and comes with a live Vibrators concert CD. Knox sang The Ramones "Rock 'n' Roll Radio" with German band The Pisstons, on the B-side of a single with Sid Vicious singing "Chinese Rocks" on the A-side. Full on punk rock!! Released on 19.3.2016 on Empty Records in Germany. See here for details. Great package/cover/sawtooth record! Has to be seen, and heard, to be believed! 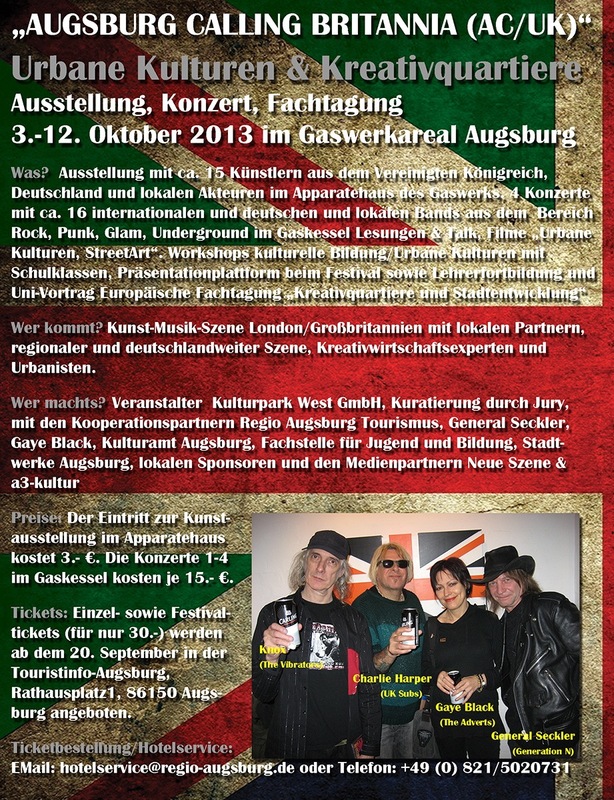 Fri. 3 Nov. - acoustic at the Lo Fi Lounge, Rose and Crown, Torriano Ave., K'town. Sat. 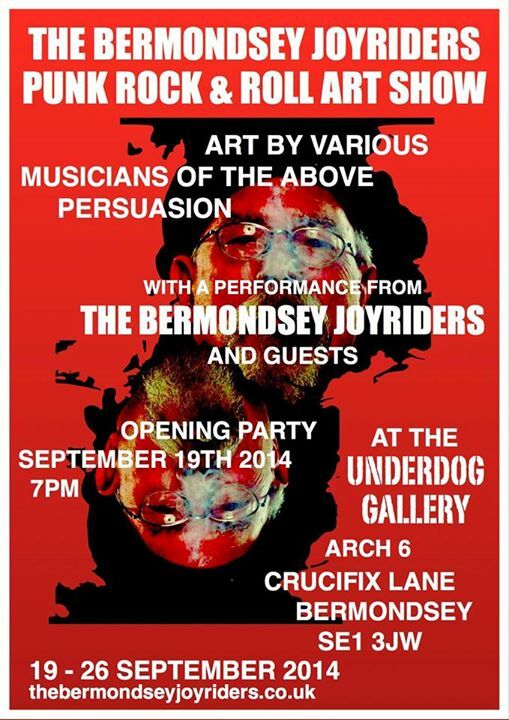 9th Sept. 2017 - acoustic, support for The Bollock Brothers. Sat. 15th July 2017 - acoustic, Dublin Castle, ROCK 'N' ROLL RESCUE CHARITY GIG. Sun. 2nd July 2017 - acoustic at the Unicorn, (charity gig). Fri. 29th July 2016- acoustic at the Hope & Anchor, supporting SMASH and The Derellas. Sat. 30th July 2016- acoustic at the Hope & Anchor, (charity gig). Thurs. 17th Nov. 2016 - URBAN DOGS at 100 Club. Sat. 23rd July 2016- acoustic at Peter Parker's 'Speakeasy'. See gig's Facebook event here! Sat. 12th Dec. 2015 - KNOX acoustic: Dublin Castle, Camden, (Rock 'N' Roll Rescue Xmas Party!! ), afternoon gig. Sun 6th Dec. 2015 - KNOX acoustic: Dublin Castle, Camden, (The Pukes Xmas single launch party), afternoon gig. Sat. 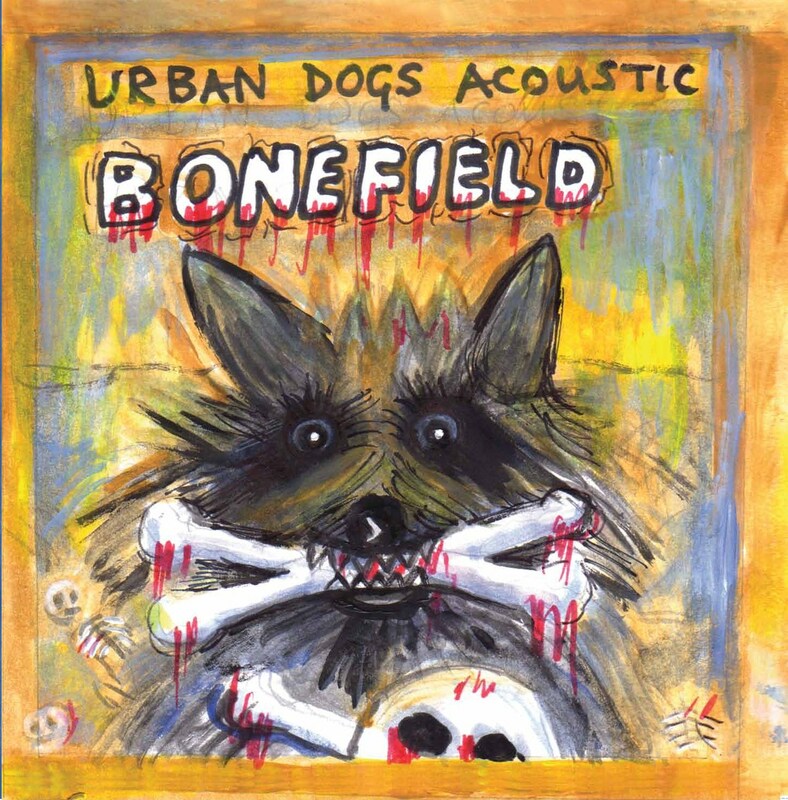 31st Oct. 2015- URBAN DOGS acoustic: Dublin Castle, Camden, (London SS EP launch party). Sat. 5th Dec. 2015 - THE VIBRATORS: Dublin Castle, Camden. Sat. 31st Oct. 2015- URBAN DOGS acoustic: Dublin Castle, Camden, (London SS EP launch party), afternoon gig. THE DOLLZ - now defunct band (with Cindy Jackson) - check video here. 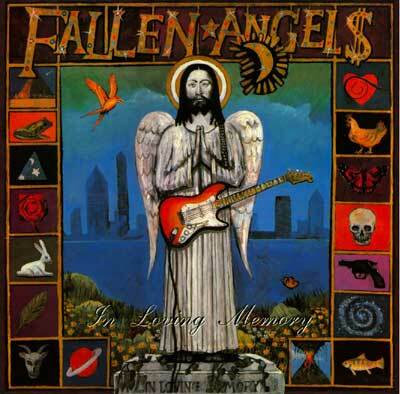 FALLEN ANGELS - Original Fallen Angels' LP on CD still available. Jungle Records released 2nd and 3rd Fallen Angels' albums out on a double CD - see below. Knox's 1983 solo album "Plutonium Express" - coming out on USA label Cleopatra Records, probably early next year. Details when they come in. New Urban Dogs' single - Knox and Charlie recorded a single with Matthew Best, original Urban Dogs' drummer. It was done 9th and 10th July at Pat Collier's studio. 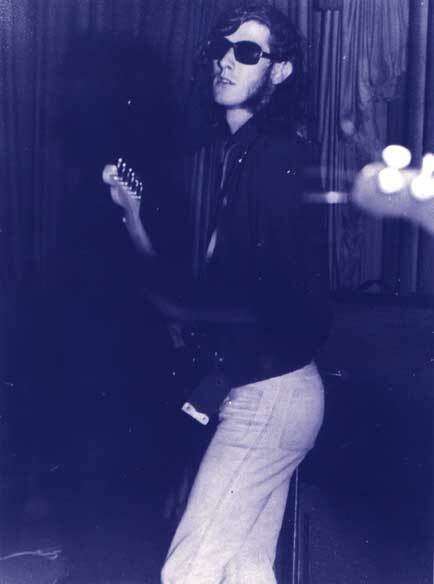 (Pat was the original Vibrators' bass player.) News of the single's release will be here as soon as we have any. Knox and Charlie Harper began working on songs for a new Urban Dogs' single, hopefully to be released later this year. It will be recorded at Pat Collier's studio with hopefully Turkey (Matthew Best), the Urban Dogs original drummer, on drums. 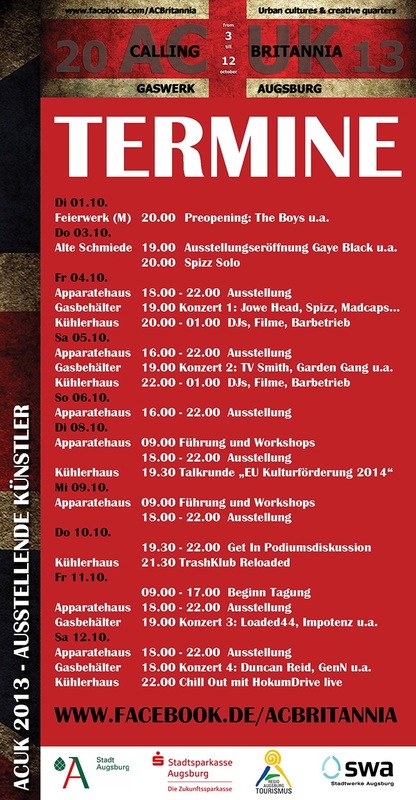 For enlargements of each section of poster click here, here and here! 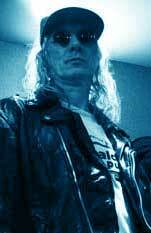 Knox's 1983 solo album PLUTONIUM EXPRESS is going to be released on CD on New York label O-Rama. More news about this soon. 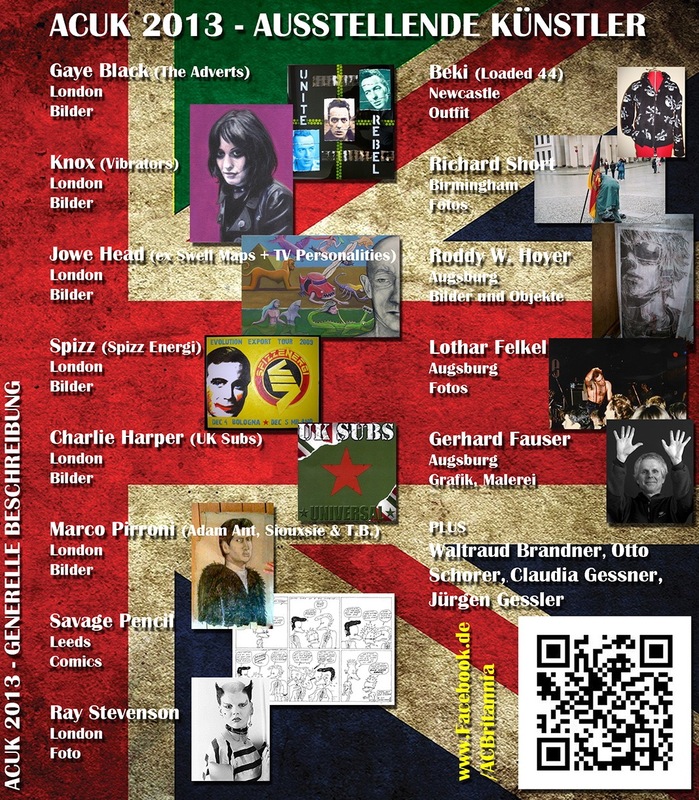 Check Knox out on the Vive Le Rock website and in Vive Le Rock magazine here. JUNGLE RECORDS RE-RELEASED THE FALLEN ANGELS 2ND AND 3RD STUDIO ALBUMS AS A DOUBLE CD - "In Loving Memory" and "Wheel Of Fortune", both digitally remastered from original studio mixdown tapes, plus additional tracks, B-sides, etc., plus the long and short versions of The Troops "Troops Of Tomorrow", the long version runs to nearly 21 minutes! Great songs here. 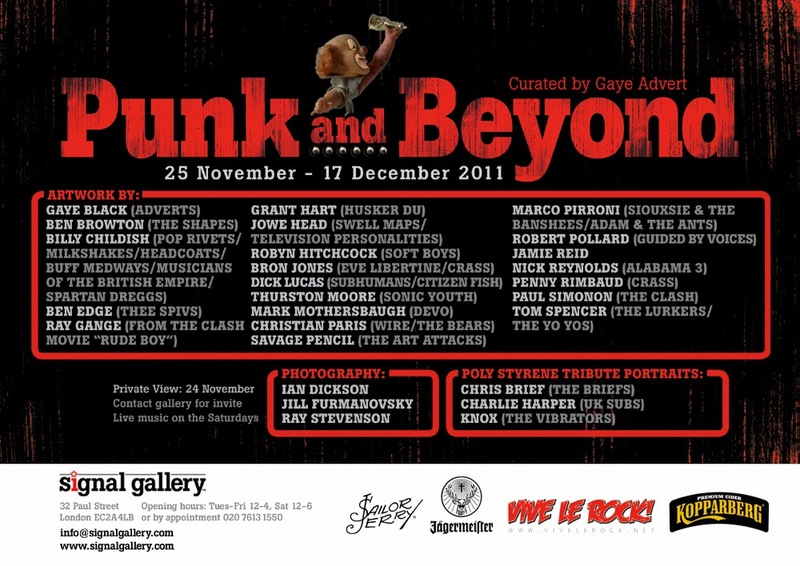 Also Andy McCoy and Nasty Suicide playing on some of these songs. You can buy it here. KNOX RECORDING WITH THE KNOXVILLE BOYS - Knox recorded with the Knoxville Boys (a cut down line up of the Trailer Trash Orchestra), Fri. 9th March to make an EP. 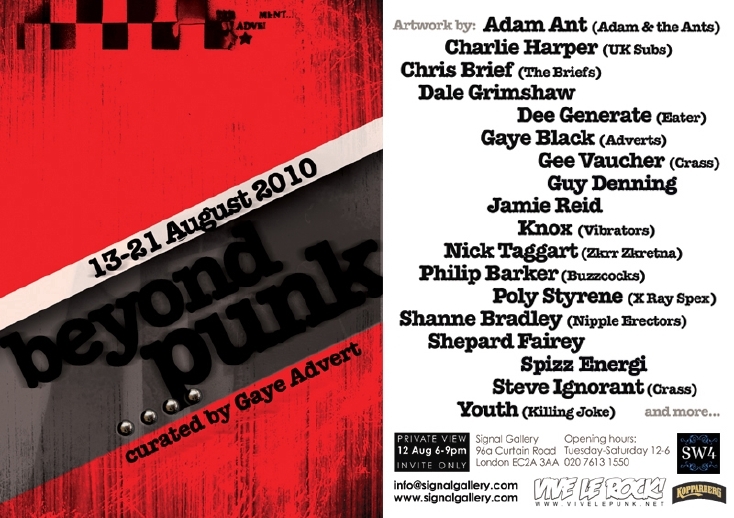 ART SHOW: - This had Knox's painting of the late Poly Styrene in it, in a special tribute section to her in the exhibition. 2. "I Can See It In Your Eyes"
7. "Dance To The Music" - later recorded by The Vibrators, also known as "Whips 'n' Furs"
As you might note several songs were on the Vibrators first album! PAINTING: More paintings on site - see 'Latest Additions 1' and 'New Paintings', plus a painting of my grandmother added to 'Latest Additions 2'. RADIO: on Fri. 20th May 2011 Knox sang with the Trailer Trash Orchestra on the Mining For Gold show at 11.30 pm on RESONANCE RADIO (104.4 FM London area). Will find out if it's to be repeated, or to be put up on 'the cloud'. Fast-forward 4 years and the result is The Knoxville Boy, a collaboration that sees several Vibrators classics given a stomping country-rockin� overhaul along with a host of never recorded/released material from Knox (one written during the recording) along with a couple of Grae�s compositions and a dark rendition of trad-classic The Knoxville Girl. The album verges from full-throttle bar-room stompers to intimate Americana featuring the trademark Trailer Trash Orchestra sound of pedal-steel, fiddle, mandolin, harmonica, double bass, double guitar and drums. Most of the tracks were recorded by Trailer Trash bass-man Dez Paradise and the remainder at the Bood Corporation barn. 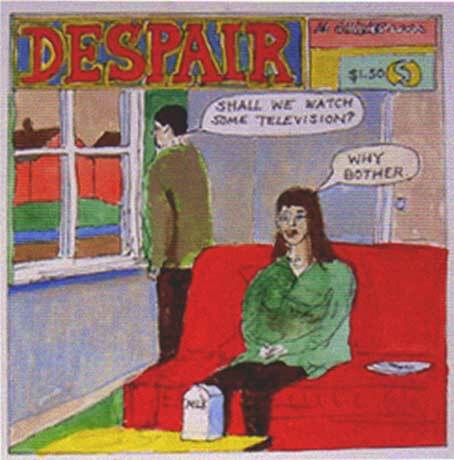 Sumptuous artwork is provided by the great Al Maceachern. The album is available from all major download sites and physically from trashville.co.uk and on-line and in-store from Rough Trade. Also good review in Vive Le Rock Issue 2, has Adam Ant on the cover! 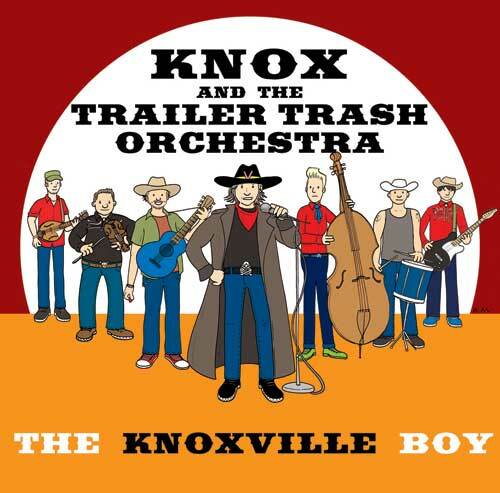 Plus - Knox is doing some gigs with the Trailer Trash Orchestra, see review of recent gig in Hitchin here. KNOX LAST SOLO GIG - 22 June, 2011, in Made In Brasil, Inverness Street, Camden Town. 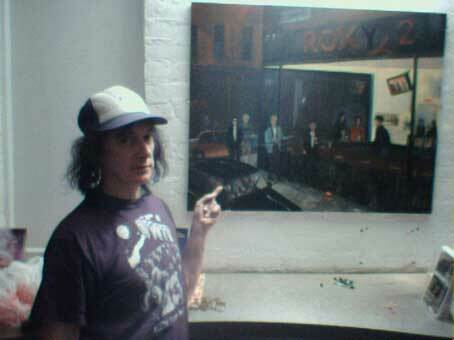 Look here for paintings Knox did for Rebellion - portraits of Iggy Pop, Joey Ramone, Johnny Ramone, and Gaye Advert, plus two of Joe Strummer singing and playing guitar.